Wee Kee Jin is the principal instructor at the Tàijíquán School of Central Equilibrium based in Auckland New Zealand and he is internationally recognized as a senior instructor of the Huang Sheng-Shyan system. Kee Jin was one of only four people to have had the privilege to be a live-in student of the renowned Master Huang Sheng-Shyan. 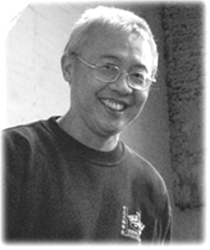 Although only in his early fifties Kee Jin has dedicated himself to Taiji for almost three decades, with most of that professionally teaching in Singapore, where he was born, and in New Zealand where he immigrated in 1991, and throughout Europe. Twice a year Kee Jin runs workshops in England, Holland, Germany, Sweden, Norway, Lithuania and Denmark, plus every few months he crosses the Tasman to Brisbane, Australia. Over the southern hemisphere summer months Jin hosts visiting students from Europe, America and Australasia, providing them with residential training including personalized tuition, and access to his schools’ classes. The distance hasn’t deterred many from returning regularly. This is probably not just a reflection of Kee Jin’s depth in understanding Tàijíquán, but also his open and accessible teaching style.